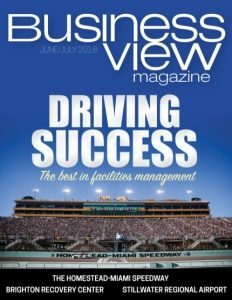 Business View Magazine interviews Mike Willingham, ED of Sebring Regional Airport & Commerce Park, as part of our series on regional American airports. 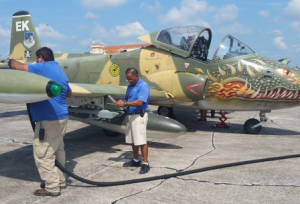 Sebring Regional Airport & Commerce Park is a public use airport and industrial park, located seven miles southeast of the central business district of Sebring, a city in Highlands County, Florida. The airport was originally constructed in 1940, as Hendricks Field, after the City of Sebring purchased an area of 9,200 acres of woodland and leased it to the government at $1 per year for 99 years. It was used as a B-17 Flying Fortress crew training base of the U.S. Army Air Corps, and later the U.S. Army Air Forces. With the end of the war in 1945, the training program began to wind down and the order came to inactivate the base by December 31, 1945. On February 21, 1946, the city received a permit to operate a civilian airfield on the site, and on May 1, 1946, the abandoned airfield was turned over to the City of Sebring to become Sebring Air Terminal. The government also released all the old Hendricks Field properties to enable any and all types of industry, trade, and air transportation to be developed there. In 1967, the city turned over the deed to the airport to the Sebring Airport Authority, which had just been formed by the Florida State Legislature. A commerce park was established in the early 1970s, and today the airport is known as the Sebring Regional Airport & Commerce Park. 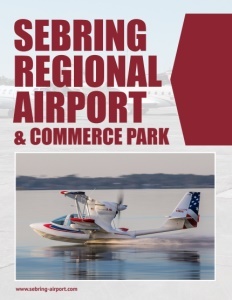 In addition to serving the local and transient general aviation community with commercial and T-hangars, fuel and repair services, the 1,770-acre, Sebring Regional Airport & Commerce Park is home to dozens of businesses and serves as a diversified economic engine for the county. “I’ve always felt that the airport is more of a real estate development and the runways were more of an amenity,” says Mike Willingham, the airport’s Executive Director since 1991. Willingham believes that Sebring is an unusual facility, in that it competes, not just with like facilities in its own geographical region, but with business parks around the state, country, and even globally. “Economic development is very competitive, and I believe, if you look around at most small general aviation airports in the country, located in areas like Sebring, this airport is very atypical,” he asserts. “We have a bustling, thriving cluster of businesses of various sorts. You really don’t see that going on as you look around the state.” Not only is the airport part of a Department of Commerce-certified Foreign Trade Zone (FTZ), which helps increase its global competitiveness because raw materials can be flown into the airport tax-free, Willingham says it is the only airport in the country with its own Community Redevelopment Agency (CRA). “That allows us to do a lot of things that nobody else can do,” he states. 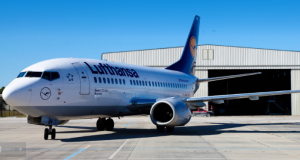 Recently, when the airport was trying to lure its newest tenant, CitraPac, a large frozen food manufacturer to the Commerce Park to build a brand new 42,000-sq.-ft. plant, the CRA was able to contribute a quarter of a million dollars to an incentive package that included $250,000 from the City of Sebring, $400,000 from Highlands County, plus a promise of another $400,000 in site improvements, for a total of $1.3 million in financial incentives. In return, CitraPac is expected to have a workforce of up to 240 people. Willingham says that over the next several years, the airport will extend its main runway and complete all of its rail and ramp reconstruction projects. With a great deal of real property available for development, it will also continue to look for more businesses that wish to relocate and take advantage of all of its amenities and facilities including the availability of Sebring’s excellent air, rail, and road access, as well as its intact infrastructure including water, sewer, utilities, and waste collection. Check out this handpicked feature on Pueblo Memorial Airport – Military and more.